Nyla's portraits of women who undertake sporting adventures is showcased at the Crossrail Place Roof Garden, Canary Wharf until 5 April. Showcasing the phenomenal achievements of 'Tough Women in Sport and Adventure', Nyla's portraits give us a snapshot of their lives, demonstrating their ambition, achieving the extraordinary, winning medals and smashing world records. Each portrait captures the stories and accomplishments of these tough women, with the aim of inspiring others to break barriers. Nyla has a passion for photographing strong people who have made an impact and inspired others. 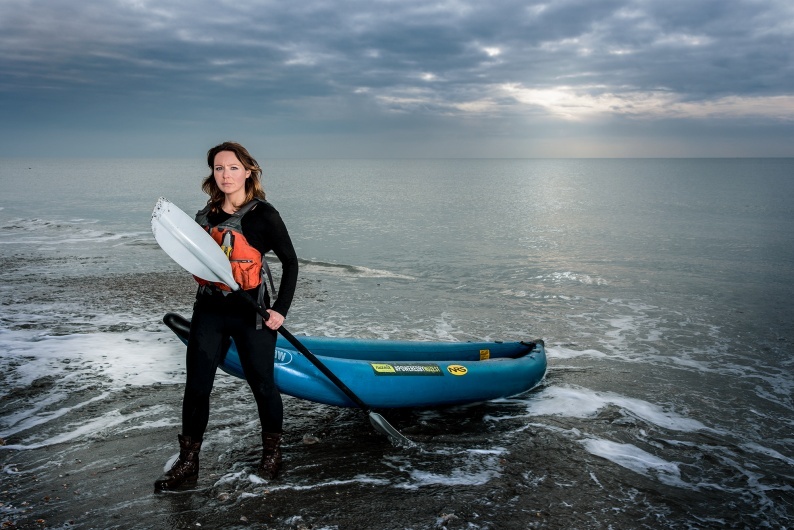 She was motivated to begin the 'Tough Women in Sport and Adventure' series after photographing Kiko Matthews, who recently broke the world record for being the fastest person to row the Atlantic solo. Going on to photograph more women such as Pip Stewart and Anoushe Hussain, her portraits aim to tell the story of strong women who continue to push boundaries.